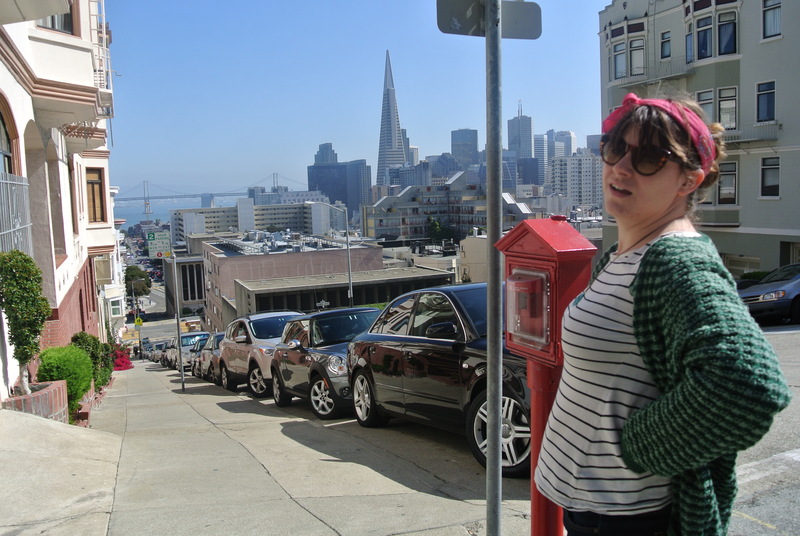 San Francisco, the first stop on our Women and Film fueled adventure. We arrived at night and were driven into the city centre by a man with a ride share van. He reminded me of that short one from Ghostbusters and was very chatty. So much so, he didn’t really look at the road whilst on the freeway, he preferred to turn and look at us. 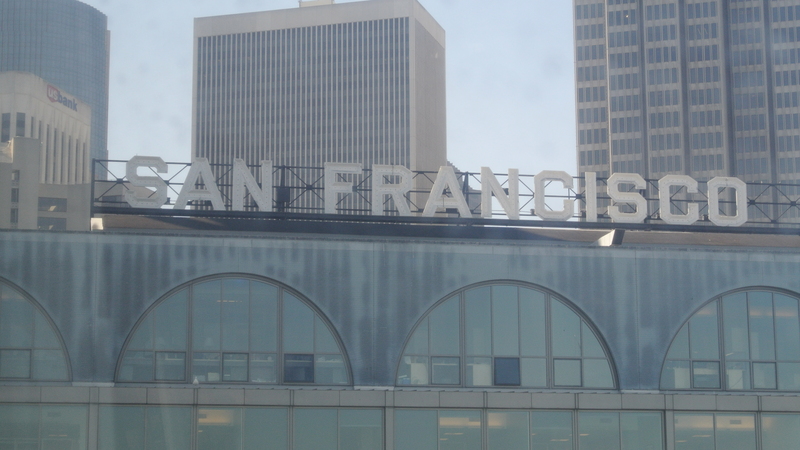 Quite a terrifying start – but if this was a sign of things to come I thought I would like San Francisco. 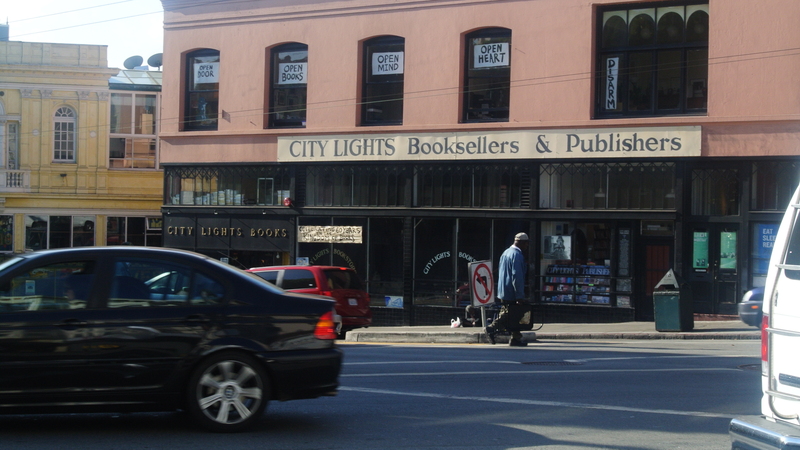 For the first few nights we stayed Downtown near City Lights Bookshop and the Beat museum. I was happy about that. City Lights was one of the places I was certain I wanted to visit. 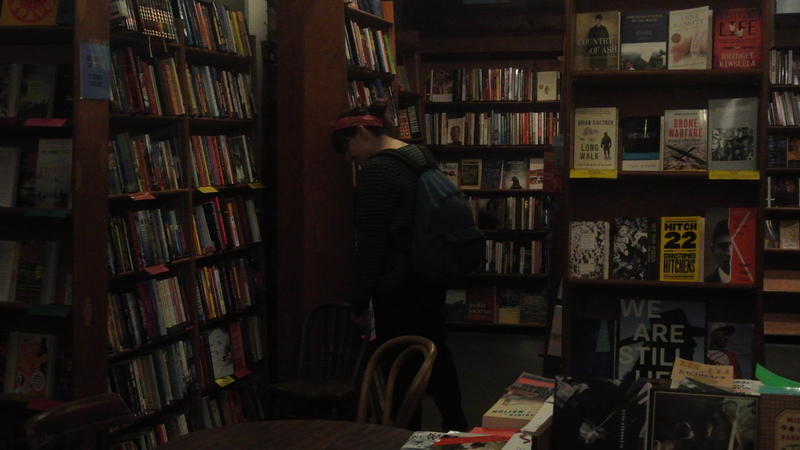 It was set up by Lawrence Ferlinghetti, a poet of the beat generation and the shop is now an independent publisher which still has a sense of the radical about it. We spent a lot of time there. 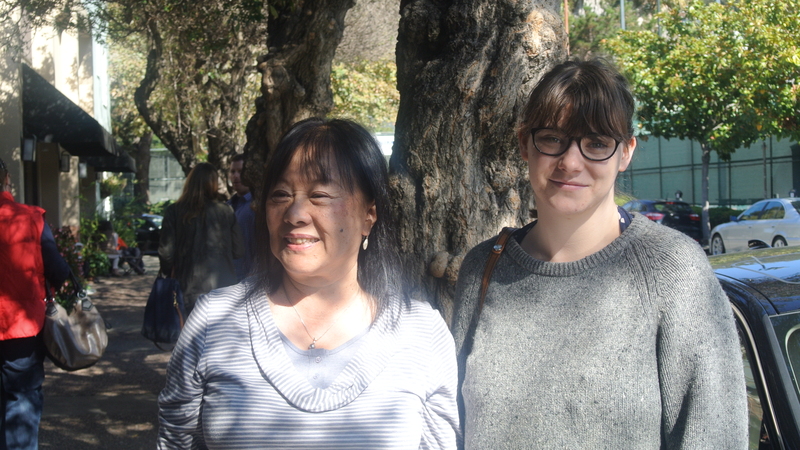 …so getting to Berkeley and meeting Siew Hwa Beh was a big relief, she immediately made us feel at ease. Siew Hwa was one of the founding co-editors of Women and Film and she had a lot to tell us. 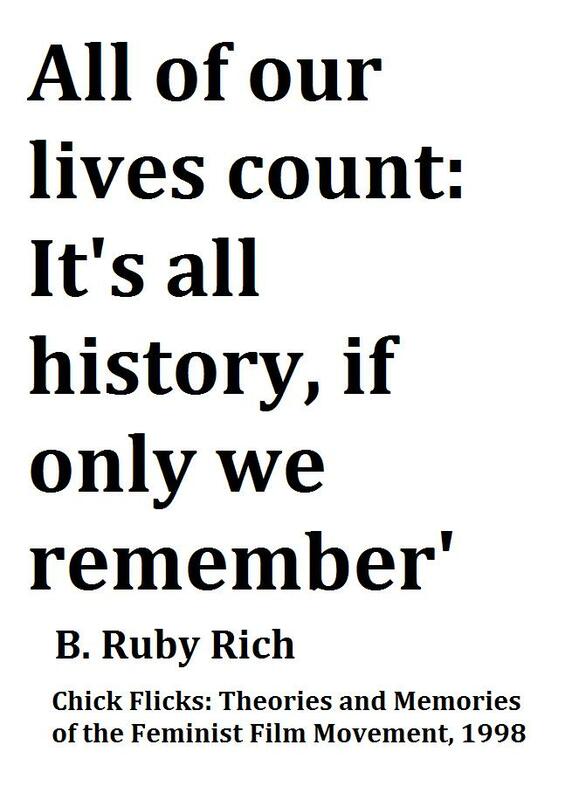 As soon as we met we started to talk about the magazine, the period and her life in general. We soaked it all up. The second day was our filming day and we took 3 hours of footage. Siew Hwa’s story was fascinating. We won’t give it away now, but we talked about everything, from her childhood in Malaysia, to her film degree at UCLA and how that sprouted ideas for the magazine to come into being. As we continued to film the sun went down and we lost the light, not realising how long we’d been going for. Exhausted, Siew Hwa took us out for an amazing burrito and we went to bed that night full of food and stories. 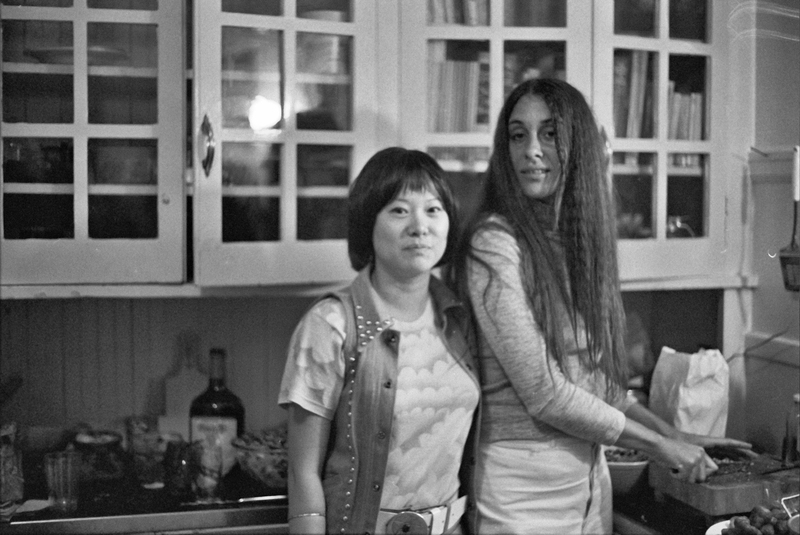 We stayed up in the Berkeley hills with Siew Hwa for 4 nights and on our 3rd day there she drove us to meet Saundra Salyer, the other founding co-editor of Women and Film. We met at a coffee house which filled me with joy as I have a massive sense of romance about coffee houses. We waited nervously, but as soon as she came in we knew it was her, we recognised her from the photo we had (Saundra on the right). To start with we sat and chatted for a while over a coffee. She had read a lot about our project which was really nice and we talked about Patti Smith and Europe. To film the interview we went to her friend’s house and set up in a little front office. Saundra talked about the 70s with such heart, it made us feel like we were there. She described as much as she could remember which was incredible, even though she was worried that her recollection wasn’t good enough. These first two interviews were really inspiring and we were lucky to meet these women in such beautiful surroundings. 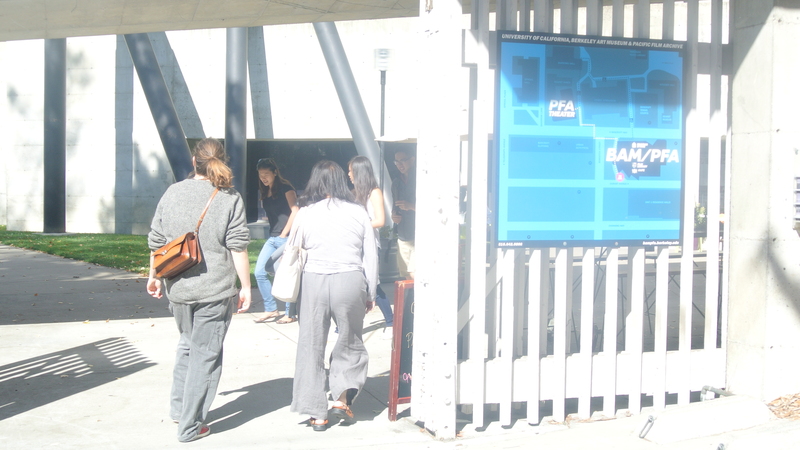 For our final day in Berkeley Siew Hwa took us around the University campus and into the Pacific Film Archive, where Women and Film were based for a while – we got some great footage of these places – our first taste of being ‘on location’. San Francisco made a bit of a big impression on me. 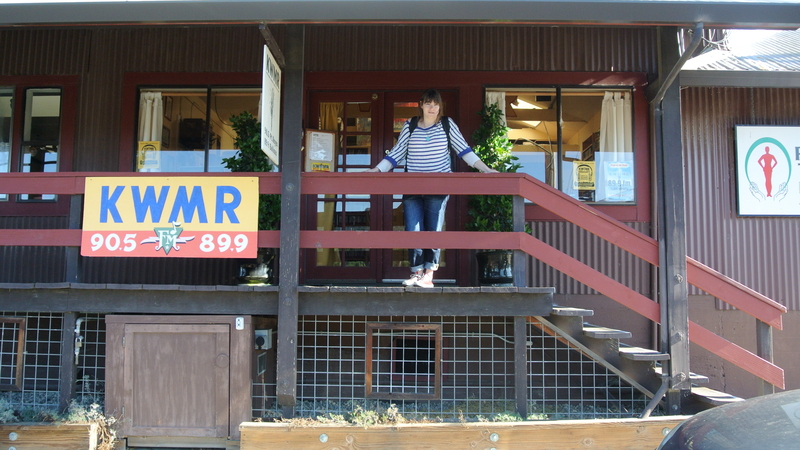 When we sat at the station waiting for our night train to Oregon I was torn between train excitement and San Fran blues, but by the time the fall colours fluttered past us as we rattled along the rails I was ready for the next bit. Check back soon for our Oregon tales. I must have been sensing earlier today that you were getting this ready to post. ‘Cause, first thing this morning I wanted to head to this blog and catch up on your travels/shoots! Yes! Yes! Yes! To broadening our present-day understanding of how revolutionary and dynamite the 1970s were — especially for feminism and film! !